Fiction – paperback; Phoenix; 292 pages; 2003. Dark, depressing and claustrophobic. These are the words that best describe this unconventional crime novel set in the heartland of industrial America, where “the smell of sulphur made the air taste bitter, a haze of pollution hanging in the wintry light, the chimneystacks breathing fire”. Into this “crouched, grand, sad and burned out landscape” dotted with factories, shopping malls, dilapidated motels and highways, Lawrence, a divorced policeman, discovers the body of a three-year-old girl lying face down in a pile of autumn leaves by the side of a road. It appears as if the toddler, who is dressed as an angel, has been the victim of a hit-and-run accident during the town’s busy Halloween night festivities. But why was she by herself? And why did the driver fail to stop and give assistance? During the ensuing investigation, the town’s star quarterback, a 17-year-old schoolboy called Kyle, emerges as the chief suspect. But in a soulless town desperate for heroes a cover-up takes place to ensure the teenager’s promising football career remains untarnished. 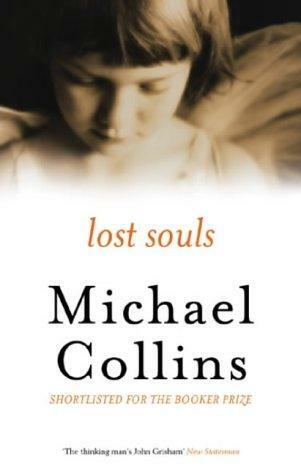 Lost Souls is a sombre, moody novel that explores some very dark places in the human psyche. The main character, Lawrence, is a sympathetic one, even if the reader may question his morality and, indeed, his sanity. But his malcontent voice, depressed, pained and vitriolic, is so claustrophobic you wish it could be broken by some light relief — perhaps a dash of humour every now and then — but sadly there is nothing to ease the burden on the reader. But that’s not to say that this book, the fifth by Irish author Michael Collins, is not worth the effort. Despite the bleak prose and subject matter, Collins has an uncanny ability to dissect America into its many dysfunctional components to convey a country on the brink of social breakdown. He also has a keen visual eye, and describes many scenes befitting of a high-octane screenplay. However, it is the slow burning plot that makes Lost Souls such a satisfying read. So much happens in this book beyond the initial crime that the riddle of the toddler’s death seems unlikely to be resolved. But then in the best time-honoured tradition of hitting the reader over the head with an unexpected climax, Collins delivers a wonderful ending that reveals who did it — and why. I can’t say I enjoyed this book. I found its eerie atmosphere too heavy for that. But the narrative was intelligent, insightful and well written and for those reasons Lost Souls is a worthwhile and satisfying read.